There are so many rappers in the game these days. Some of them good, some not so good. From the very beginning J. Cole has been a little different. He's always wanted to tell his story, get the music to fans, and be respected. He never really seemed to care much about the actual fame part. 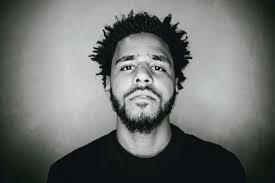 From his first offering, "The Come Up" mixtape, to his latest release "Forest Hills Drive" J Cole has seemed to always have a buzz. Though his career started to boom, it seemed to me that he started to pull back into himself even more. You don't see much of him out and about on the party scene, or kicking it a lot with other celebs. You will see him front line marching with protesters, popping up at some random fans crib, or in some small town to just show love to his fans. With this new feature for HBO, Road to the Homecoming- f' Money Spread Love.. we get to see this side of Cole even more clearly. In the video you see him focusing in on the music, and his positive impact on people. He lets his fans go on an incredibly unique journey through his home..while listening to his album. Such a dope opportunity for fans as you'll see. That is what Cole aims to do.. really give his fans sincere moments of inspiration. Even though he is one of the most talked about hip hop contributors of our time.. he's still humble and focused on his positive impact. This is why I been gave him the #KOSIGN! Check out the full episode below. You can see the full release on HBO January 9th @ 10pm.